As Americans were told from the beginning, Afghanistan had long been an important battleground of great powers and civilizations. Most scholars and archaeologists believe that it was from Afghanistan — most likely by way of the Khyber Pass — that Indo-European peoples first came to populate the Indian sub-continent, in what historians call the ‘Aryan invasions.’ Some millenia later what is now Afghanistan (or the former Persian satrapy of Bactria) was for 10 centuries — between the conquests of Alexander the Great and those of Islam — the frontier between Hellenistic and Indo-Iranian civilization. And when Islam came to India in 1526, with the first Mughal emperor Babur, his armies marched again through the Khyber pass from Babur’s first capital, at Kabul. In more recent times, Afghanistan was the grand prize in the original ‘Great Game’ between the Russian and British Empires (and, later, the Chinese Qing dynasty), which Rudyard Kipling told us so much about. 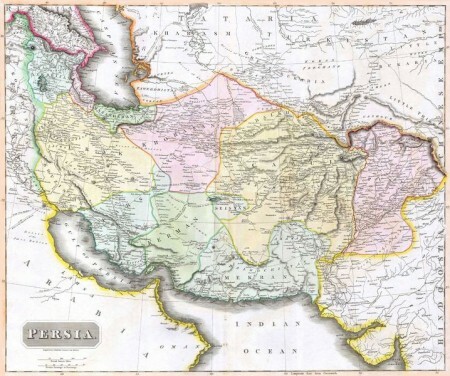 After subduing dynastic Persia in 1813, Russia turned its eyes eastward, toward Central Asia in general and Afghanistan in particular. Though allies against Napoleon and partners in Metternich’s Concert of Europe, the British feared that a Russian Afghanistan would be an ideal platform for an invasion of British India. So began a costly and inconclusive conflict that was only settled a hundred years later by mutual fear of rising German influence in Europe (and Asia, for that matter, with the proposed Berlin-Baghdad railroad) at the Anglo-Russian Entente of 1907. This echoes the opinions of a growing many observers that Afghanistan and Pakistan may be the stage for this new great game, a contest between the US, the UK, Russia, and China for power, influence and profits in Central Asia. But why always Afghanistan? 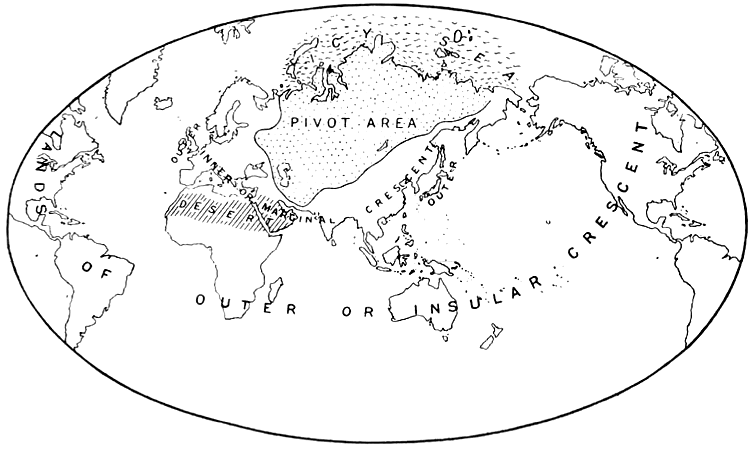 As Halford Mackinder described a century ago, the answer may be as fundamental as the geography — and geopolitics — of the region and of Asia more generally. If he was right, the territory that today comprises Afghanistan may be one of the “geographical pivots in world history.” If so, we’ll probably keep hearing about Afghanistan long after the last coalition troops finally leave — whenever and if, in fact, they do. Russia’s Afghan Problem — This paper analyzes Russia’s policy towards Afghanistan and the Afghan problem over the past ten years in their various dimensions. It also contains elements of a forecast regarding how this policy will evolve in the future. The authors aim to answer the following questions: What determines Russian policy on the Afghanistan question? How has Russia’s policy evolved, and what have its effects been? What are Russia’s interests? China’s Silk Road Strategy in AfPak: The Shanghai Cooperation Organization — As the US is mulling over troop withdrawal and a review of AfPak strategy in a post-Bin Laden world, China is quietly positioning itself to fill the US/NATO vacuum in Afghanistan. Whereas the US is focused on an Afghan end game of denying a safe haven for al Qaeda to launch further attacks on US homeland, it seems to be operating with a China blind spot in its AfPak strategy specifically and Central/Eurasia strategy more broadly. Afghanistan, the Regional Complex — Afghanistan’s war enters its second decade with the Taliban emboldened and the United States enfeebled. But the power-play between Pakistan, India and China is also now central to an assessment of what comes next. US Gaze Turns to Uzbeks — As ties between the United States and Pakistan continue to sour, speculation is mounting that Uzbekistan may become a new ally of convenience in the US war on terror. Pakistan and environs – most dangerous in the world? Pakistan Faces Mounting Tensions with Neighbors — Pakistan’s role in the ‘war on terror’ has placed the country in a difficult position not only vis-à-vis the US but also its neighbors. In fact, bin Laden’s assassination has further strained already taut regional relations – just as regional cooperation becomes more important than ever to defeating the terrorist threat. Afghan Peace Talks — James Dobbins and James J Shinn, coauthors of Afghan Peace Talks: A Primer, discuss the relationships between Al-Qaeda, the Taliban, Afghanistan and Pakistan, as well as the obstacles and possible outcomes of peace negotiations. This recording of an event held by the Council on Foreign Relations (CFR) on 6 September 2011 was originally published on the CFR website.